This project was carried out across two separate contracts, one for BAM Construct and involved the cut to fill for the main service station and associated car and lorry parks, and the other for Balfour Beatty, which involved the temporary realignment of the M25 and construction of a loop road under the motorway. The loop road was required to provide vehicular access from the anti-clockwise North carriageway, to the new service station, which is located on the South side of the clockwise carriageway. In all approximately 250Km3 of surplus cut was removed to landfill and approximately 300Km3 of suitable clay was cut to fill and retained on site. Kane group carried out the early cut to fill works on this project, dealing with the weather susceptible chalk strata during the winter months. As part of our responsibilities we removed from site approximately 50Km3 of soils, much of which was contaminated due to the sites former railway and industrial use. Demolition of the old Ovaltine works at Kings Langley. The facade was left intact whilst everything at the rear was demolished. 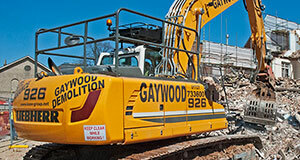 All concrete and brick generated from the demolition works was processed on site into secondary aggregate using 2 of the 5 company owned Nordberg 105 crushers. 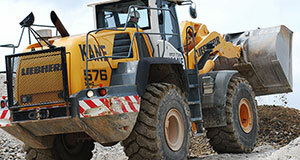 Kane Group demolished the old Timken Bearing works to make way for a large housing development. All the demolition arisings were processed on site and incorporated within the remodelled land form, generated for the contract. Kane Group carried out all necessary earthworks at this brown-field site in preparation for the erection of a new superstore for the B&Q DIY chain.